Resolved: Does HIPAA Compliance Satisfy Meaningful Use? 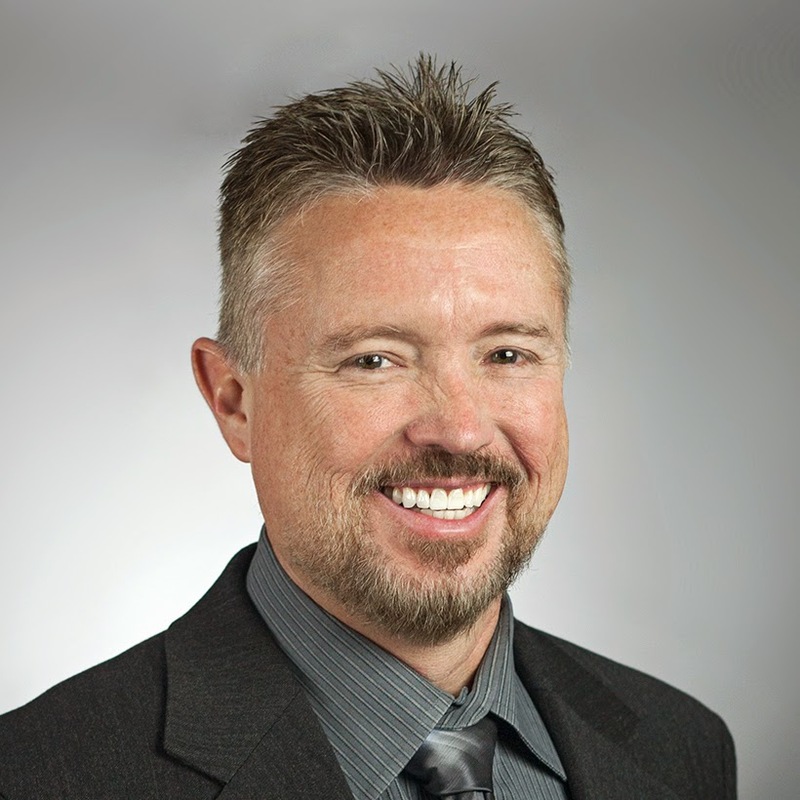 How do Meaningful Use requirements overlap with HIPAA compliance requirements? 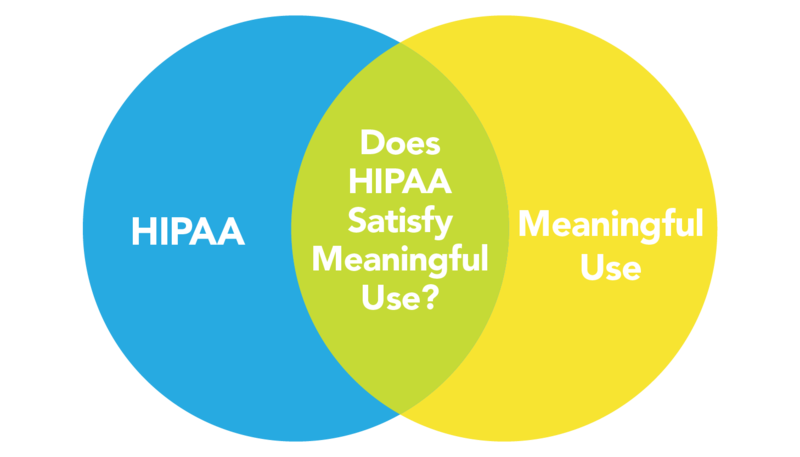 Can you tell the difference between HIPAA and Meaningful Use regulations? You’re not the only one struggling with the answer to this question. Many healthcare professionals don’t completely understand how the specific requirements of HIPAA and Meaningful Use relate. For example, did you know that your HIPAA risk analysis may cover your Meaningful Use risk analysis, but not the other way around? I promise to try and resolve your questions about the relationship between Meaningful Use and HIPAA in this blog post. If you’d like a more comprehensive dive into the relationship between Meaningful Use and HIPAA, watch this recorded presentation. Let me quickly answer some common questions healthcare providers have about Meaningful Use and HIPAA. Will Meaningful Use attestation count for HIPAA compliance? NO. Meaningful Use only focuses on your EHR system, while HIPAA is concerned with the entire patient data process. There are many additional aspects required for full HIPAA compliance, and as a note, using a cloud-based EHR does not absolve you of HIPAA requirements. Will HIPAA compliance count for Meaningful Use attestation? NO. Both HIPAA and Meaningful Use are concerned with identifying potential security risks. Both require a risk analysis. But the similarities end there. In reality, the overlap between the two is pretty small. Will my HIPAA risk analysis cover my Meaningful Use risk analysis? YES. As long as you’ve done a ‘complete and thorough’ job on your HIPAA risk analysis, it should cover your Meaningful Use risk analysis. If your HIPAA risk analysis is not complete and thorough, not only will it fail your Meaningful Use risk analysis, but will also not be an acceptable HIPAA risk analysis. It’s nearly impossible to perform a proper ‘complete and thorough’ HIPAA risk analysis without some outside security assistance. Will my Meaningful Use risk analysis cover my HIPAA risk analysis? NO. Meaningful Use only focuses on your EHR system, while HIPAA is concerned with your entire patient data process. A Meaningful Use risk analysis would only cover a very small part of a HIPAA risk analysis. We’ll discuss this in more detail later. Both HIPAA and Meaningful Use require you to correct security problems as part of your risk management process. Both also require a risk analysis and Risk Management Plan. A risk analysis helps you measure, rank, and prioritize risks to your protected health information (PHI), while a Risk Management Plan works through the issues discovered in the risk analysis, and documents that you acknowledge and are working to correct those risks. Need help with your risk analysis or risk management plan? When the HHS comes in to do a HIPAA audit or investigation, if you have completed a risk analysis and show demonstrable progress on your Risk Management Plan, they go a lot easier on you. Meaningful Use and HIPAA are distinctly separate requirements that aren’t that similar after all. Not only is HIPAA compliance required, but it is also considered security best practice throughout the healthcare industry. If you already have a HIPAA compliance program, congratulations! Your risk analysis (if completed) may be a core requirement of Meaningful Use! If you haven’t started on HIPAA compliance yet, this is a great time to start a HIPAA program and kill two birds with one stone! Want help starting your HIPAA program?